The low profile design is made to fit in small spaces. Rigid steel design-durabilty, reliability and safety. Interchangeable head design, no tools needed for changing. Versatility: one hydraulic drive unit per torque capacity can be used to drive any hexagon head within that range. Constant torque output accuracy up-to ±3%. Dual rotation direction (360°X-axis * 180°Y-axis) hydraulic swivel manifold, connect with screwed quick couplings (available in models of TWHD40,TWHD50&TWHD60). 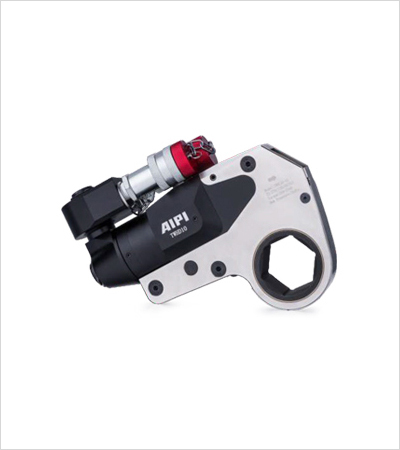 Select the Right Torque Choose your AIPI Torque Wrench using the un-tightening rule of thumb: Loosening torque equals about 250% of tightening torque.